I don't talk about "church" much on this blog since it is one of those topics that could spark conflict. Not my intent. But "church" is not-insignificant part of my life and not something I'm embarrassed about. I just don't talk about it on the blog. Since I've retired, I've been able to contribute more time doing things such as A/V, preparing food for events, committees and even driving the van to pick up students from the university. Time is something that used to be a scarce commodity (believe it or not). You will see this building in a number of my PBC videos since it is only about ⅓ mile away from our home. I used to walk there all of the time but the motorcycle has made it too easy to just ride there. Now if the topic was "religion" this post would be drastically different. For me, they are not interchangeable terms. In an earlier post, I mentioned the PDM60 as a way to clean up all of the battery connections. This is the BMW which does not have a PDM60. 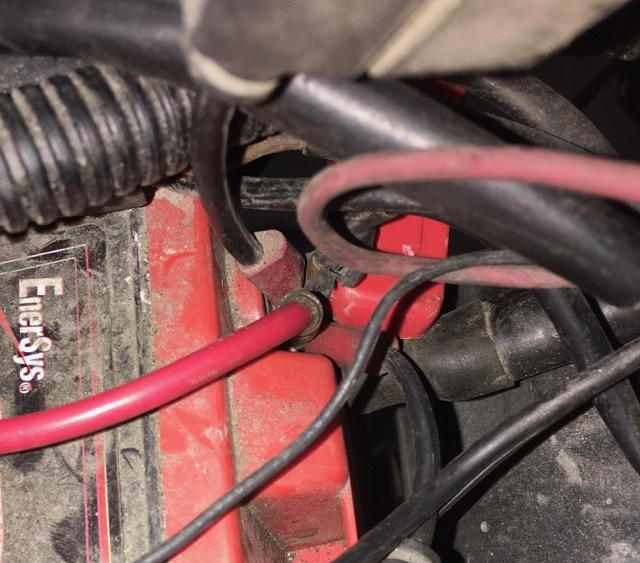 Five positive wires on the battery post each with an inline fuse. My fingers are really sore for getting all of those connectors back onto the Odyssey battery under the seat. The Cozy sidecar is removed so I'm back to the stock battery. 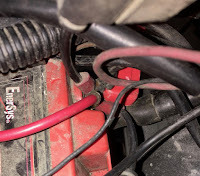 Even after being disconnected for over a year, it still had 12.4 volts and would still crank the engine. Pretty good performance. It's on the smart battery charger right now. See, no more sidecar mounts. 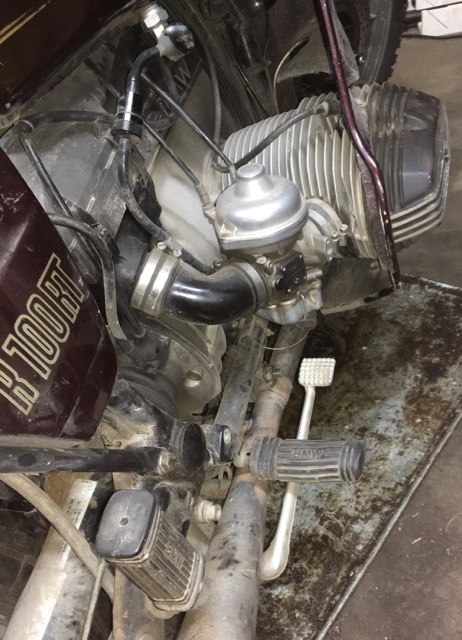 I also removed all of the sidecar wiring and I think the only thing left is putting a bulb back into the right rear turn signal. I removed it to avoid confusion when the sidecar was attached. A former colleague wants the BMW and will be picking it up in a little over a week. It needs to be cleaned up a bit. Okay, a lot but it's mostly just dirt. There is oil dripping from the pushrod tubes seals which are fairly new. I think it's the 5w30 oil from last winters riding. Maybe I'll switch it out for 20w50 and clean up the oil. wow, you're giving up the tug too? With the super reliable Ural, why would I need another bike? I had picked up the BMW because I wanted to take long trips. If I want to take a long trip now I would just take the Ural. I think that a much smaller bike may be more useful for running around. Your parting with the BMW does make sense if you are not using it as much, Richard, especially when a potential new owner is already waiting to give it a new home. Plus, I could really use the room in the garage. It took me a while to accept the idea of getting rid of the BMW.